Is there anything apple cider vinegar can’t do? It’s one of those kitchen staples like baking soda or lemons that does absolutely anything–from cooking to cleaning to everything in between. But it’s not just household tasks that can benefit from its magic. Apple cider vinegar also does wonders for the body. 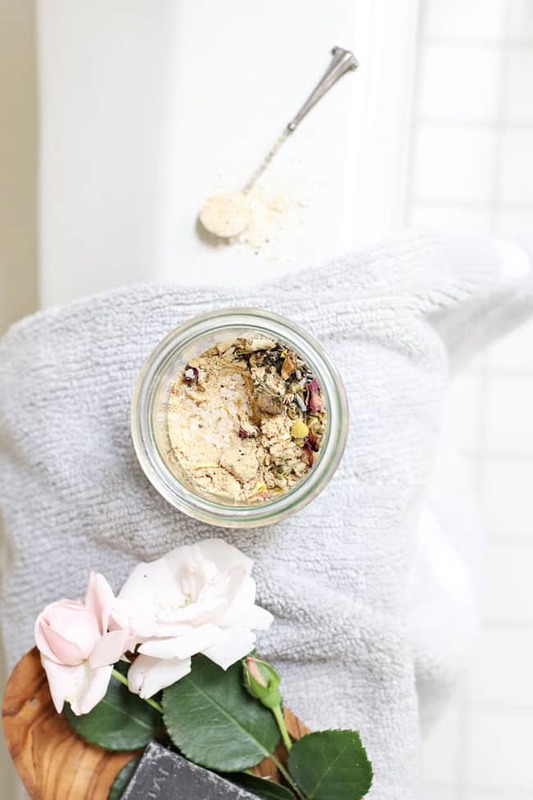 Simply add some to your bathwater next time you’re in need of a soak and you’ll be amazed at what it does for your skin, hair, even your joints. I firmly believe that apple cider vinegar is a miracle worker that really does do it all, but in order for it to work you need to buy the raw, organic kind. Unfiltered and unpasteurized ACV (sometimes referred to as “with the mother”) still contains the vitamins, minerals and probiotics that are so beneficial to the body. Simply look for a brand like Bragg’s or head to your local health food store to find the raw stuff. Then hop in the tub and soak away. 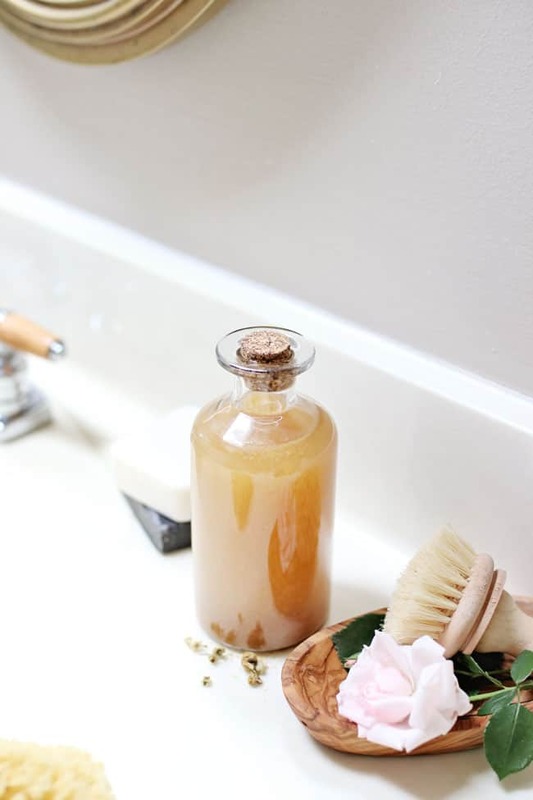 ACV naturally kills bacteria and yeast on the skin, which can be helpful for people suffering from dry skin, eczema, dandruff or yeast overgrowth. Because bacteria doesn’t stand a chance, it can also help clear up acne when applied to the face and body. Vinegar contains acetic acid, one of the components of medications such as aspirin. It can help ease sunburn pain, itching, and inflammation. Soaking sunburned or inflamed skin for 30 minutes can help calm the redness and irritation so it heals faster. Our skin is naturally acidic but some common bath and body products make our skin a little too alkaline. Because ACV is acidic it can help restore our skin’s pH balance, which in turn helps to reduce dandruff and makes skin feel soft and moisturized. Applying apple cider vinegar topically is also said to help with muscle and joint pain. If you’re a runner or if you simply suffer from sore knees, take an ACV bath regularly to help soothe pain and nurture joints. 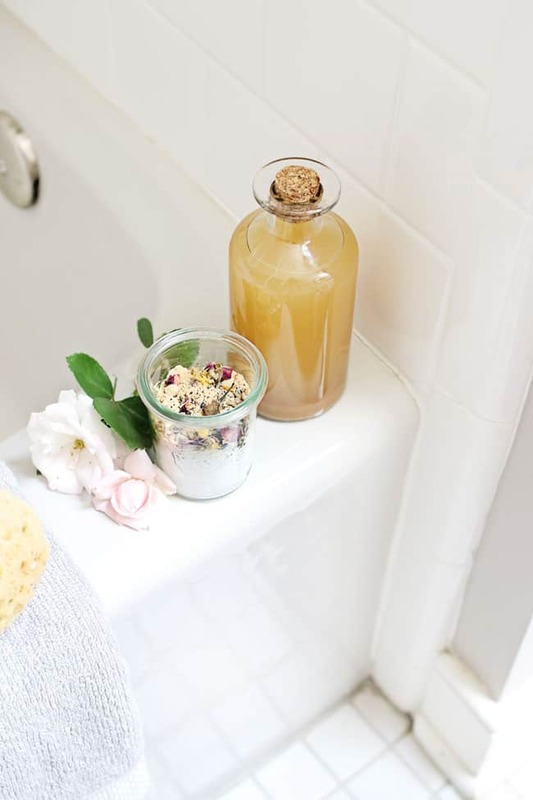 To reap the benefits of ACV you can simply add some directly to bathwater. But to really kick things up a notch, why not try combining it with a ginger bath soak? This soak is ridiculously easy to make and chances are you already have everything you need in your kitchen. The Epsom salt helps to relax tired muscles and ease aches and pains, while the baking soda draws toxins from the body. The ginger has a thermogenic effect which helps raise your body temperature and induce sweating, helping to eliminate toxins. And last but not least add a few drops of essential oils and some flower petals. While it doesn’t aid with the detox, it will help make the whole thing look nice! Combine everything except the vinegar in a jar and set aside. 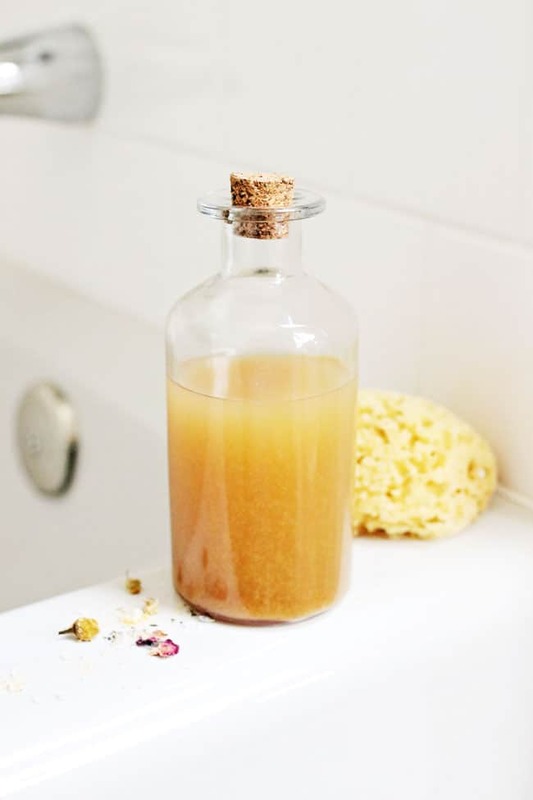 Fill tub with warm/hot water and add apple cider vinegar. Next add the salt mixture and stir with your hand until completely dissolved. Hop in the tub and soak for at least 30 minutes. When you're done, gently blot skin with a towel to remove excess water and let the vinegar sink into skin as much as possible. Do you use the whole mixture in one bath? Will definitely try but how much vinegar please? Yo this is a god sent, i got 2 bottles big & small i will depthy b trying it out today. This is exatcly what I’d need, only I don’t have a bathtub. What a misfortune, hehe. This would be great for my tired feet after a long day. Thanks for the idea! how much of the dry mixture and vinegar do you put in the tub? wonderful. perfect timing. will try tonite. I just did this a few days ago! This helps my eczema a lot! Trying this soak soon.